Most of the Slovenia Pools offer you both open lanes for independent swimming and also guided activities like water aerobics or Aquabike. Not all countries are the very same, and swimming rules and regulations are changing from one country to the other. So, if this is your first time seeking for Slovenia Pools, make sure you call the premises just before you drop by. Swimming is a sport for all ages. It helps young people to tone their muscles and grow wholesome and strong. For the elderly, there's no greater approach to exercise than obtaining a Slovenia Swimming Pool to escape from every day routine. Do you know of any Pools in Slovenia that should be listed here? Contact us!. 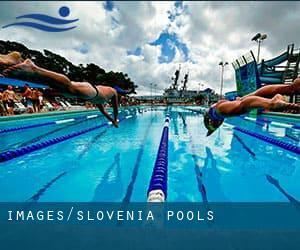 Swimia.com has one of the most up-to-date database on the internet about virtually any Slovenia Swimming Pool. Classified by countries, regions and cities, it truly is straightforward to find the nearest pool at the places you visit. For Slovenia, it is possible to have a look at the pools we have gathered for you. Are you on holiday and wish to keep fit and healthy? Swimia.com delivers you the straightforward and quickest way to uncover Aquagym in Slovenia near your current location. Enjoy the best indoor pools in Slovenia and don't worry about the weather. These facilities are open all seasons and you can enjoy a swim at the same temperature every day of the year. One in the advantages of outdoor swimming in Slovenia is the possibility to sunbathe for the duration of the summer season. Taking it with additional care, sunbathing is healthy since introduces Vitamin D into the body, so the best selection seems to be switching between indoor and outdoor pools based on the season. There are many causes why you should choose a heated swimming pool in Slovenia. The most critical one relies on the importance of keeping the body temperature stable. If the water is too cold, your body will try to warm it up and you will lose strength to swim effectively. Holding an estimated population of 37.115, Celje is one of the most important cities in Slovenia. Check all the Swimming Pool in Celje and its surrounding area. Let us tell you a secret to switch off while you happen to be in Koper: just choose a Swimming Pool in Koper and plunge into the water! There's no extra effective method. Whereas Velenje is one of the six most populous cities in Slovenia with almost 26.426 residents, you shouldn't miss that one if you're going to Slovenia. It's difficult to visit Slovenia with no dropping by Ljubljana (with 255.115 residents). Currently Swimia is showing you all the Swimming Pool in Ljubljana and the closest pools located in its vicinity. Swimming can be a outstanding idea to keep your body active for the duration of your visit to Maribor (Slovenia), or perhaps in case you are a local. Swimia assists you to find your closest Swimming Pool in Maribor. Without a shadow of a doubt, swimming in Kranj may be the best strategy to unwind right after work. 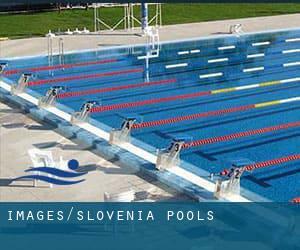 Take a couple of minutes to browse Swimia's catalog to find a Swimming Pool in Kranj. Ulica ob igrišcu 3 , Moravske Toplice (Postal Code: 9226). Among all the activities offered by the center, should you be considering swimming you will get pleasure from 20 meters x 10 meters, 1.35 m depth, Indoors. If you need to contact this Swimming Pool, email address and phone number are both number. Updated on 2019 Celovška 25 , Ljubljana (Postal Code: 1000). Swimmers like you reported 25 meters, 8 lanes, Indoors. Unfortunately we do not have the email address of this Swimming Pool, but we can give you the phone number. Sedejev trg 8 , Cerkno (Postal Code: 5282). This sports center delivers 25 meters x 13 meters, Indoors. For this Swimming Pool, only phone number is number here. Deckova cesta 1 , Celje (Postal Code: 3000). Few days ago a normal user of this center told us they offer 25 meters x 21 meters, 8 lanes, 1.8 meters depth, 1.8 meters depth, Indoors. Furthermore, they keep in good conditions 18 meters x 8 meters, 0.8 meters depth, 0.8 meters depth, Indoors. For this Swimming Pool, only phone number is number here. Koroška cesta 33 , Maribor (Postal Code: 2000). This sports center offers 25 meters x 17 meters, 8 lanes, Indoors. Contact knowledge for this Swimming Pool for instance phone number and email address are number. Obala 2 , Portoroz (Postal Code: 6320). Few days ago a standard user of this center told us they offer 25 meters x 10 meters, 1.8 meters depth, 1.8 meters depth, Indoors. Furthermore, they keep in good conditions 25 meters x 7.5 meters, 1.8 meters depth, 1.8 meters depth, Indoors. Contact information for this Pool including phone number and email address are number. Kopališka 9 , Radovljica (Postal Code: 4240). This sports center provides Olympic size, 8 lanes, 1.3 meters -1.8 meters depth, 1.3 meters -1.8 meters depth, Indoor/Outdoor. For this Swimming Pool, only phone number is number here. Partizanska 37 , Kranj (Postal Code: 4000). This sports center gives Olympic size x 25 meters, 8 lanes, Indoors. Contact information for this Swimming Pool for example phone number and email address are number.